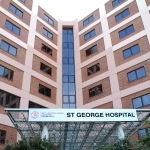 The St George Hospital and Community Health Service is a tertiary referral hospital located in Kogarah, a southern suburb of Sydney, NSW, Australia. It is part of the South East Sydney Local Health Network and is an accredited principal teaching Hospital of the University of New South Wales. St George Hospital was founded in 1894 as a humble “cottage hospital”, and they now admit more than 50,000 patients (including day only) and provide outpatient treatments for over 770,000 annually. The Hospital has approximately 600 beds and more than 2500 staff and is one of the largest in Sydney. As one of the largest centers for brachytherapy in Australia, the department of Radiation Oncology at St George has established a significant clinical expertise in a broad range of body sites and techniques, including in breast (including partial breast irradiation), prostate and gynecological cancer. The department treats about 100 patients per year using modern image-guided brachytherapy, and has a dedicated operating theatre incorporating the 40-channel Flexitron afterloading platform. The members of the brachytherapy staff are internationally renowned researchers and published in several national and international peer-reviewed journals. Being a teaching hospital, St George Hospital regularly hosts educational programs including community breast cancer educational seminars. In May 2014, the brachytherapy department organized a clinical workshop ‘Interstitial Brachytherapy for Accelerated Partial Breast Irradiation” together with Elekta. The workshop covered both clinical and implementation aspects of brachytherapy, and gave the participants a hands-on impression of interstitial breast brachytherapy in an open and interactive setting. The centerpiece of the program was a live case, in which the participants were able to directly observe a procedure in the operating room.